Watch this space for fun and family-friendly things to do! 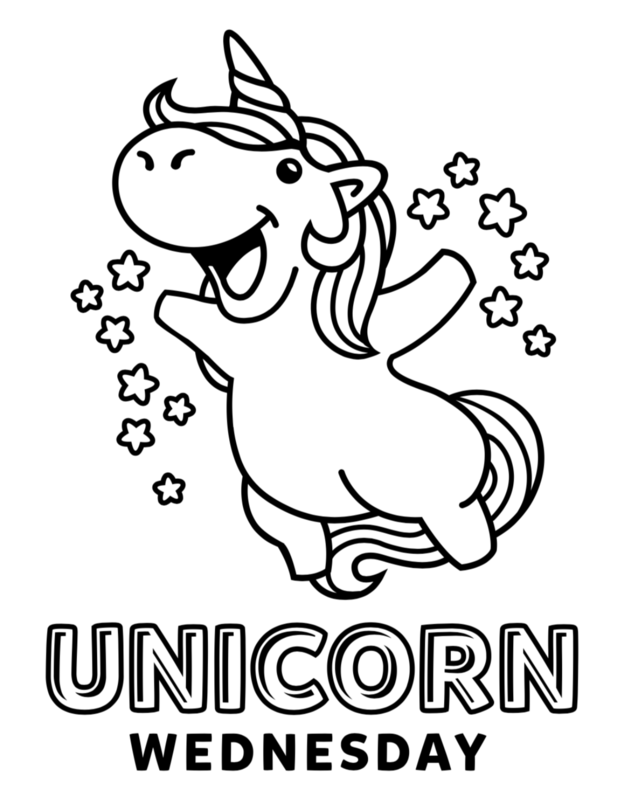 Color pictures, learn some tricks – we’re always looking for and posting fun and special things we find… just for YOU! 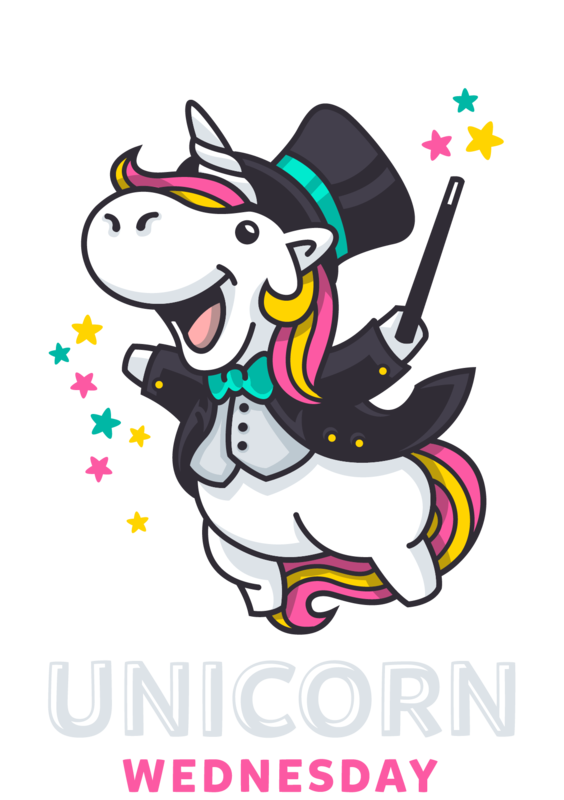 Color Wednesday (the Unicorn Wednesday Mascot) and send a photo of your work to our Twitter, Facebook, or Instagram account. Maybe we’ll re-post it – or MAYBE you’ll win a prize! Click Here to Download Color Page #1! This time YOU get to pick what Wednesday is wearing! 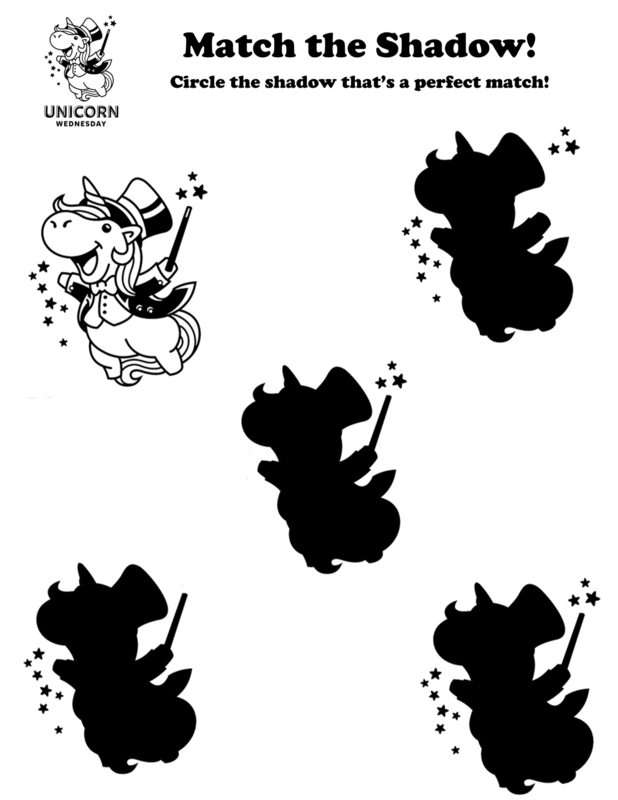 Design your own magic outfit – and post it to our Twitter, Instagram, or Facebook account! Click Here to Download Color Page #2! 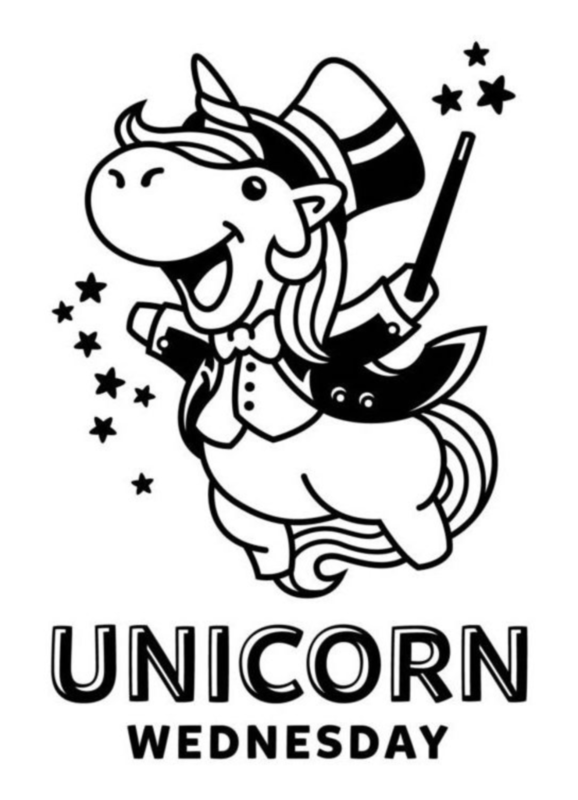 Help Wednesday find the Magic Words! 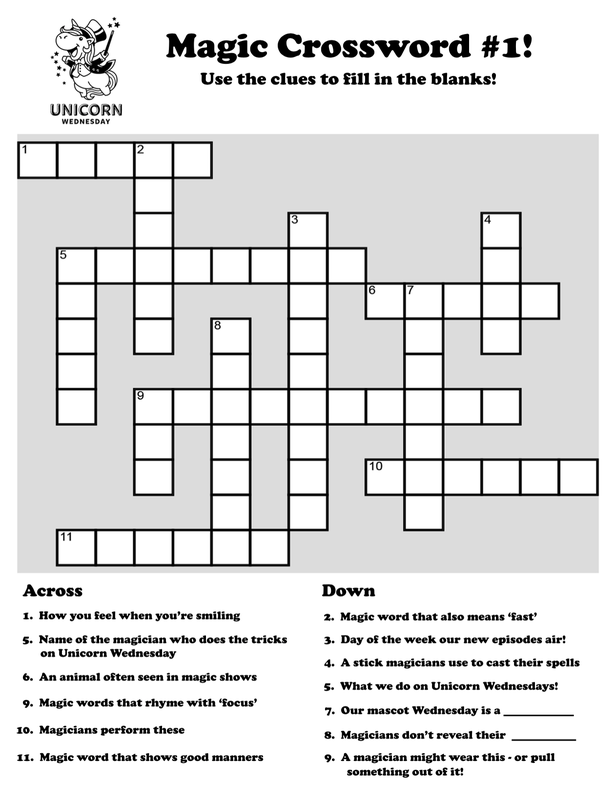 Click Here to Download Magic Word Hunt #1! 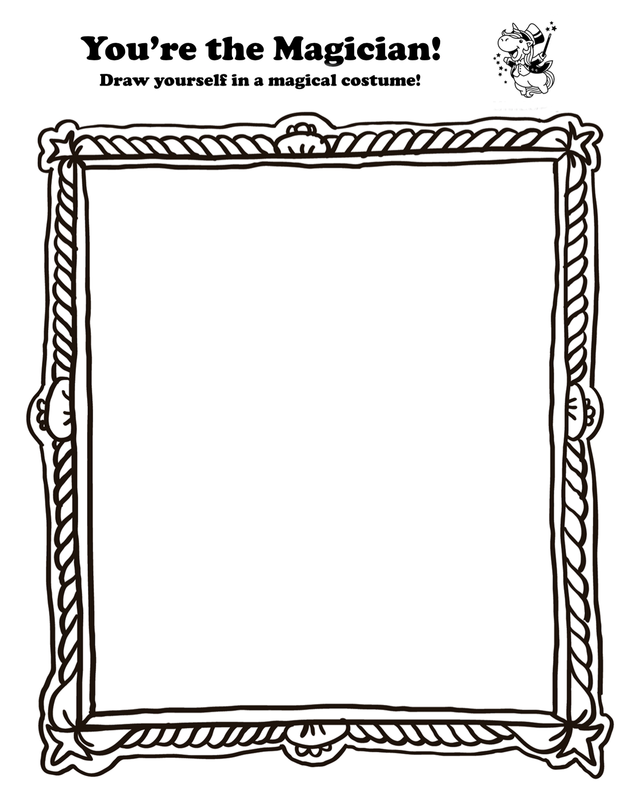 Draw yourself in a magical costume! 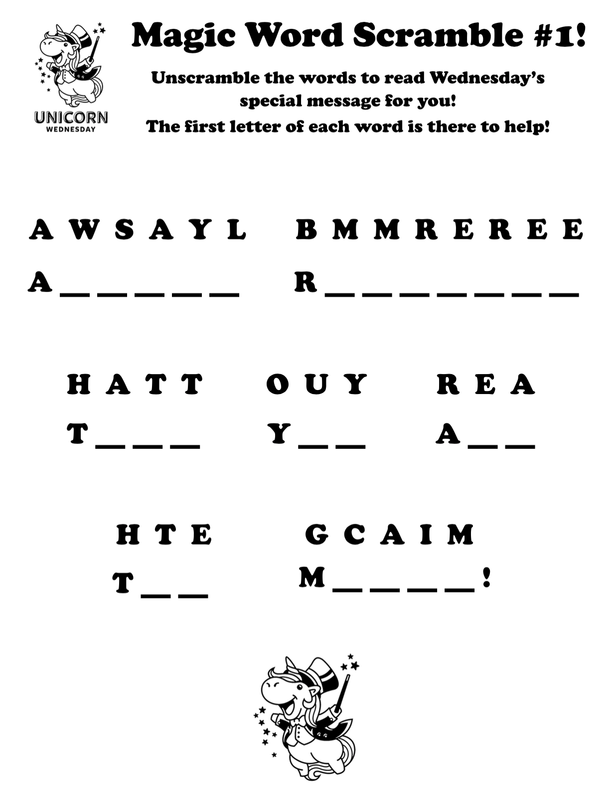 Unscramble the words to read Wednesday’s special message for you! 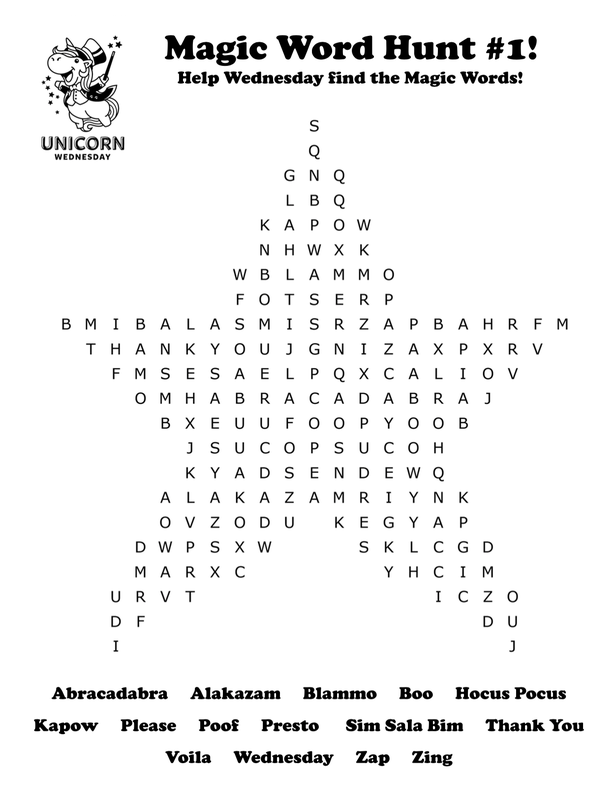 Click Here to Download Magic Word Scramble #1! 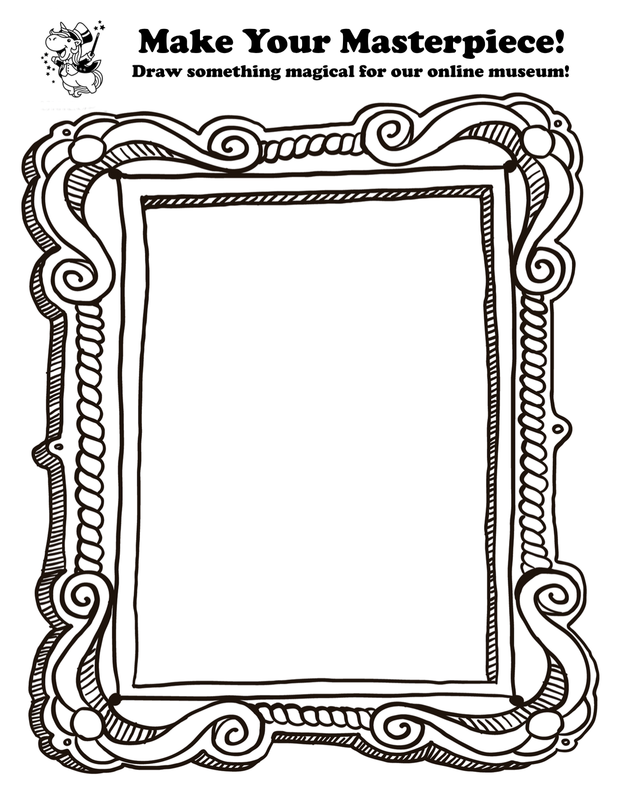 Draw something magical for our online museum! Use the clues to fill in the blanks! Circle the shadow that’s a perfect match! 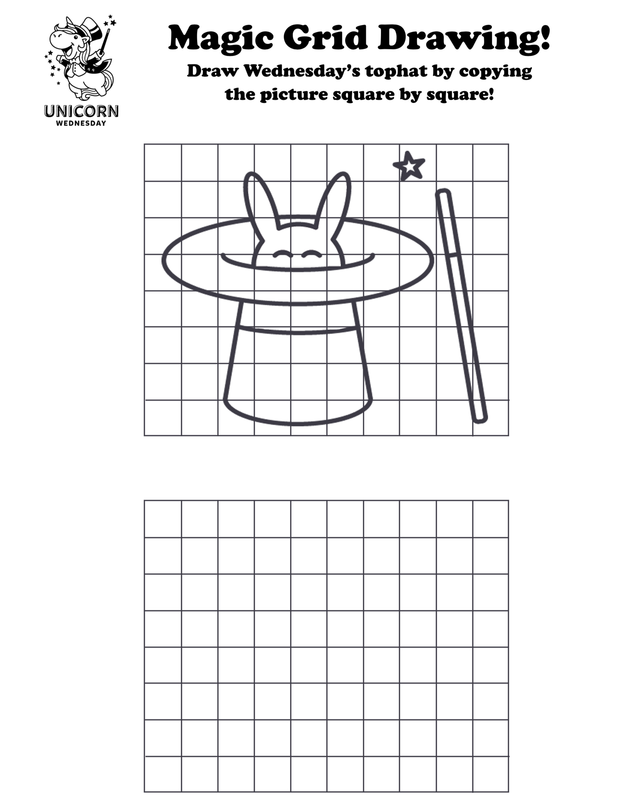 Draw Wednesday’s topcoat by copying the picture square by square! 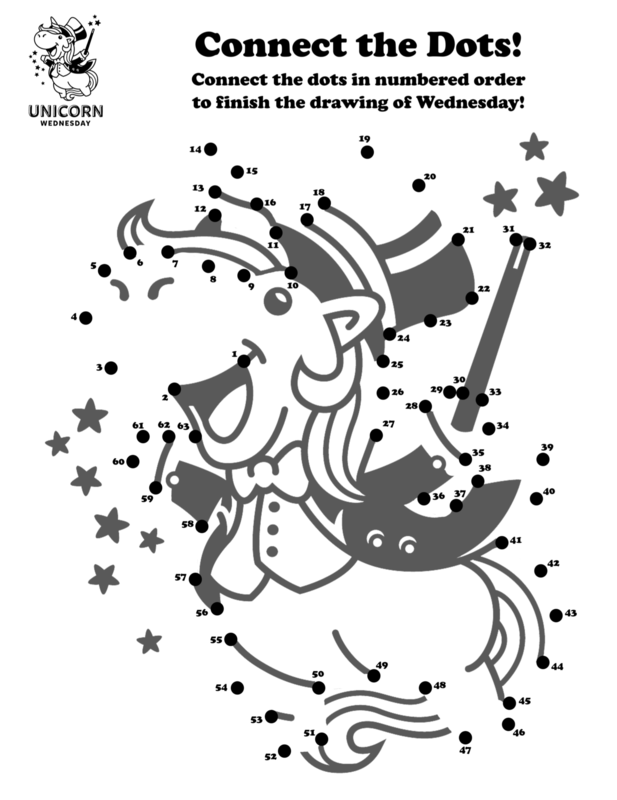 Connect the dots in numbered order to finish the drawing of Wednesday! 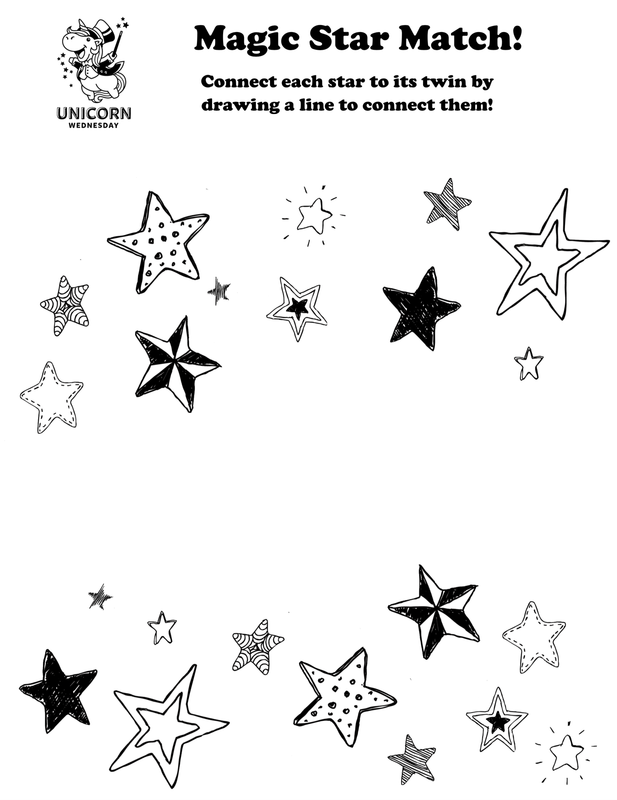 Connect each star to its twin by drawing a line to connect them! Got somethin’ you want to ask or say?